All our professionals at David Roach Family Dentistry in Nashville maintain the highest levels of accreditation and pursue ongoing dental education to stay abreast of the latest trends in dentistry. 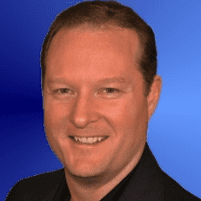 Dr. David Roach graduated from the University of Tennesse, Memphis, College of Dentistry in 1994. After graduation, Dr. Roach served three years as a Lieutenant in the U.S. Navy Dental Corps. After his brief military dental career, Dr. Roach came straight to Nashville and has enjoyed private practice in Nashville since 2000. He is an active member of the American Dental Association and the Tennessee Dental Association. Continuing education and professional development is important to Dr. Roach; he is also an active member of the Greater Area Nashville Dental Study Club. 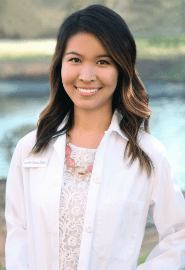 Dr. Jennifer Zhang, D.D.S, is a skilled and compassionate dentist serving patients at Roach Family Dentistry & Associates in Nashville, Tennessee. She is a graduate of the University of Minnesota School of Dentistry where she received her Doctor of Dental Surgery (DDS) degree. After graduation, she completed advanced training in general dentistry at the Eastman Institute for Oral Health in Rochester, New York. Dr. Zhang has enjoyed private practice in the Nashville area and has kept up to date on many continuing education courses, ensuring that her patients receive the most comprehensive and advanced care. Dr. Zhang has a special interest in cosmetic dentistry and is a candidate for accreditation with the American Academy of Cosmetic Dentistry (AACD). Dr. Zhang is also a member of the Academy of General Dentistry (AGD), American Dental Association (ADA), Tennessee Dental Association (TDA), Nashville Dental Society (NDS), and the Southern Women's Dental Study Club. Dr. Zhang enjoys volunteering for the Give Back a Smile program to help restore smiles of domestic violence victims. She grew up in a small town in northern California. She completed her undergraduate major degree in biology and a minor degree in studio art at the University of California, San Diego. Since moving to Nashville with her fiancé she has enjoyed the best that Music City has to offer, especially running and hiking the many parks and trails." 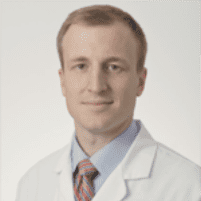 Dr. Harrison Riggs, D.D.S, grew up in Raleigh, NC where he completed his undergraduate degree, Sum Cumma Laude, in Biological Sciences from North Carolina State University. 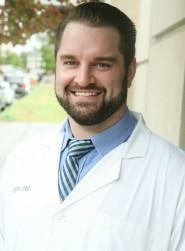 Following in his grandfather's footsteps, he pursued a dental degree and went on to graduate top of his dental class from University of North Carolina Chapel Hill. He recently moved to Nashville with his wife, native to Murfreesboro, who works as a Visual Merchandiser at Lifeway. When Harrison is not working, he enjoys playing soccer or pickleball, painting, and spending time with his wife and Goldendoodles. 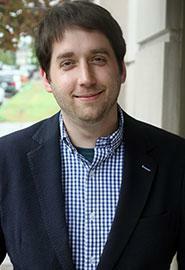 Originally from Atlanta, Georgia, Dr. Josh Gropper graduated from University of Georgia with multiple Bachelor's degrees. He earned his Doctor of Dental Medicine from Case Western Reserve University in Cleveland, Ohio. In 2013 he moved to Nashville where he continues his education to stay on top of the latest changes in the dental medicine and technologies. Dr. Gropper is a certified and experienced Clear Correct provider. He is an active member with the American Dental Association, ADA, Tennessee Dental Association, TDA, and the Nashville Dental Association, NDA. Dr. Gropper has spent time in both Nashville and Guatemala giving back to our communities by helping patients with volunteer dental care. He and his fiancé, Emily, are getting married Fall 2018. Dr. Gropper and Emily enjoy the Nashville Sports League, Georgia Bulldogs football, and spending quality time on the greenways with their two dogs. Dr. Jason Cabler received his bachelor's in 1989 from Belmont University and his dental degree from the University of Tennessee in 1993. He is passionate about educating his patients and giving them the kind of care he would give his own family. He was born and raised in Nashville. When he isn't busy treating patients, he enjoys spending time with his wife, Angie, and their two teenage children, Trevor and Olivia. Some of his hobbies include mountain biking, kayaking, weight training, and golf. He also has a passion for teaching others about personal finance through his blog, Celebrating Financial Freedom. 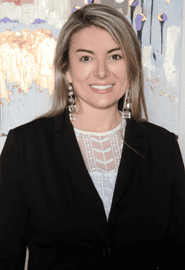 Dr. Yezerski is a Dentist Anesthesiologist/General Dentist certified to provide Deep Sedation / General Anesthesia by the Tennessee Dental Board and the Kentucky Board of Dentistry. He received his undergraduate degree in Biology from Samford University and his Doctorate of Dental Medicine from the University of Kentucky College of Dentistry. Dr. Yezerski completed three years of anesthesia training in the CODA approved Dental Anesthesia residency program at Stony Brook University Medical Center in New York. As Chief Resident of the Dental Anesthesia program, Dr. Yezerski completed rotations in Cardiology, Internal Medicine, Pediatric Medicine, Post-Anesthesia Care, and Office-Based Dental Anesthesia. He provided care for adult and pediatric patients across the spectrum of medical complexity, anesthetizing patients in the main operating rooms at Stony Brook University Medical Center and private office throughout Long Island and Manhattan, NY. 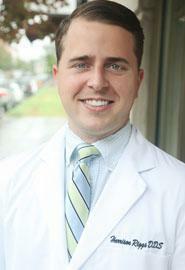 With his wife and son, Dr. Yezerski moved to Tennessee, and currently provide anesthesia services in the Nashville. Terri has been in dentistry since 1996. 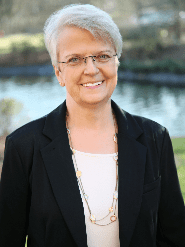 In Terri’s career she worked in General Dentistry, Orthodontics, and taught Dental Assisting and Dental Hygiene at a school in Virginia where she moved here from to help pursue her husband’s music career. Terri enjoys the outdoors, hiking, fishing, hunting, and spending time with her dog, Harmony. 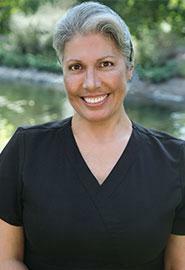 Terri’s passion is giving quality oral health care and comfort to each of her patients. 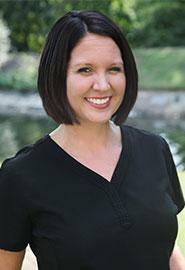 Born and raised in Nashville, Leah has been in dentistry since 2012. 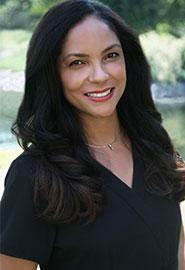 She is compassionate and dedicated to making her patients feel confident about their smile. When not in the office, Leah likes to travel, attend music concerts, and spend time with her friends and family. 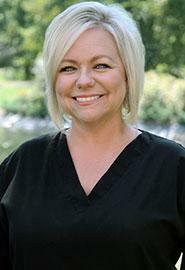 She is very proud to be part of an incredible dental team! 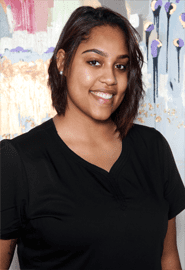 Jackie was born in the Dominican Republic and has lived in Tennessee and Connecticut for the last 13 years. 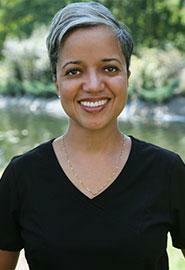 She has been in the field of dentistry since 1998. 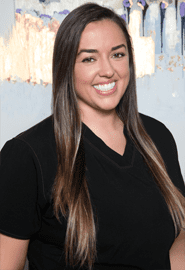 Graduated with a Bachelor's degree in Dental Hygiene from FONES School of Dental Hygiene in CT. She shares her vocation of providing caring, quality care to all her patients by helping them to achieve optimum oral health. She loves reading and spending time with her husband and two children. Kristen graduated in 2007 with an Associates Degree in Dental Assisting. As part of the degree program, she performed 256 hours of externship with Dr. Roach. Having been a patient of his for six years, he offered to be her mentor. 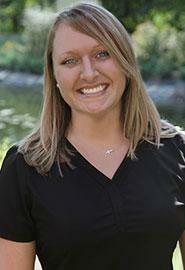 Kristen has learned so much from Dr. Roach, which makes her love being a dental assistant even more. She enjoys being part of a friendly, fun, family-oriented environment which provides the excellent dental care that all patients deserve. 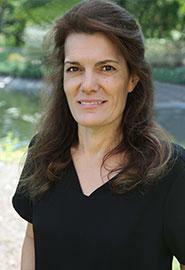 Belinda is a native of Nashville and has been a Registered Dental Assistant since 1990. Anyone who knows Belinda can attest to the fact that her favorite thing to do is smile! Along with the team, it is Belinda's mission to help patients achieve excellent dental health and a smile they can be confident with. 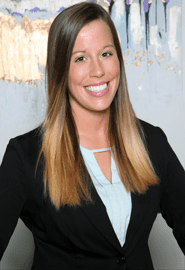 Born and raised in Nashville, Brielea joined the practice in early 2015. She is a joy to have in the office and loves making our patients smile. When not in the office she enjoys all that Nashville has to offer. She also enjoys hiking, canoeing, fishing, and traveling. As you can see she has a love of the city and the country. She is up for anything! 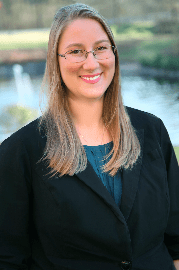 Christine has lived in Nashville since 2003, originally from Ohio, and graduated from Miami University. In 2006, she became a Registered Dental Assistant. She enjoys getting to know people and providing outstanding patient care. In her spare time, she enjoys traveling, spending time with family, and delicious food is a must! Thanks to her husband, she is also an avid sports fan. Getting to know people and providing outstanding patient care is what make her excited about coming to work every day. 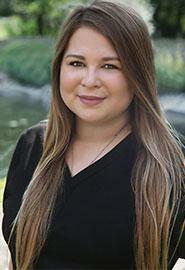 Jo has been in the dental field since 2003 and has found her passion. She loves to help people feel better about themselves through building their confidence. She has 2 handsome grandsons and 4 adult children. She enjoys the newest release at the theatre, Frank Sinatra, and everything about the holidays! Annette is originally from New York. You would never guess it by her accent..... She lived in Memphis before moving to Nashville in April 2015. She has been a Registered Dental Assistant for over 20 years. She feels the best thing about dental assisting is making people smile and get their confidence back. She is an amazing cook. Ask her for her candy, lasagna, ravioli, bread, and cheesecake recipes. Hanna is from the bay area, specifically Freemont, California. She moved to Nashville in 2016 to attend school at Remington College. She is passionate about educating patients on how to achieve great oral health. She enjoys spending time with friends and family, going to concerts, and exploring Nashville. Hannah grew up in Ohio and attended Bowling Green State University. She moved to Nashville in 2014. She is a huge Pittsburgh Steelers fan who loves to cook, binge Netflix shows, try new restaurants, and spend time with her fiance Keith! LeRhonda is a native of Nashville, who graduated from the Tennessee College of Applied Technology's Dental Assisting Program. She loves cooking and trying out new recipes. She also enjoys doing makeup! Her daughter is the absolute light of her life! 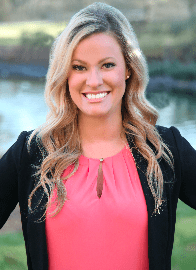 Originally from New Jersey, Kathleen attended college in Naples, Florida. 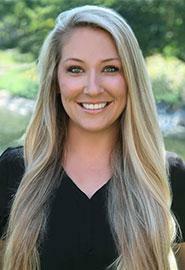 She enjoys helping patients achieve their best smile! She enjoys camping, playing with her 3 dogs, and spending time with her 5 grandchildren and her husband, Doug. Lauren graduated from MTSU in 2009 with a degree in Music Business and Management. She has worked in numerous areas of customer service including sales, marketing, management and promotions. She loves meeting new people and getting to know the patients here at our practice. In her spare time she enjoys playing music, trying new restaurants, and spending time with her husband and dog. Devon moved from the great state of Indiana to come to Nashville in 2006 to attend Belmont University. He graduated with a degree in music business and interned in recording studios. He worked at NewsChannel 5 and ran a customer service department before coming to Roach Family Dentistry! He's out numbered at home by his wife, two daughters, and dog Cinnamon! He enjoys playing an assortment of instruments, baking, college basketball, and over analyzing music and TV shows. Amanda has worked in medical offices for 17 years. The things she enjoys most about her role is getting to know people and making their experience comfortable. She is a native Nashvillian who loves a good laugh! She has two beautiful daughters that keep her life interesting and full of joy. She is passionate about music, photography, and history. Originally from Byron, Georgia, Lorraine began as a patient at our office. She quickly became one of our top referral sources. As we learned more about her, we realized we needed her on our team! She graduated from Georgia Southern University in 2007 with a degree in Marketing. She loves spending time with her husband, Seth and their beautiful baby girl, and watching Georgia Bulldogs football. Go Dawgs! Anneli joined our practice in 2016 as a Treatment Coordinator and enjoys helping people succeed in taking better care of themselves. In 2004, she earned a BA in Geology with a minor in Russian. She is almost done with her MBA in Sustainability and spent 10 years working to protect and preserve clean water. In 2010, she moved to Nashville doing flood clean-up and river restoration work. When not scheduling patients for preventive care, she pursues simple joys with her two children like watching the sunset, hiking at Warner Parks, dance-offs in the kitchen, and receiving a second-hand education in Minecraft. 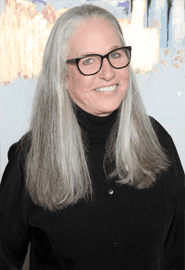 Polly grew up in a small farming town in Vermont and worked for a large dental practice for 28 years specializing in all aspects of dental insurance. She retired from her job in Vermont in September 2016 and moved to Nashville to be near her son and the rest of her family. She enjoys making new friends, knitting and discovering all that Nashville has to offer. 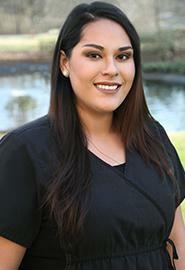 Irma began in the dental field in 2013 and has always enjoyed General Dentistry. She is very passionate about her profession and is always looking out for her patient's comfort. She is also one of our bilingual team members! In her spare time she loves quality time with her friends and family. Jen is the first smile you will see when entering our practice! 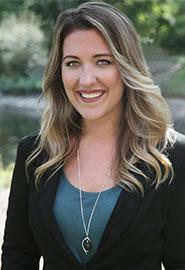 Originally from North Dakota, Jen has lived many places, including California. She and her husband Tom, a retired marine, are now happy to call Nashville their home. 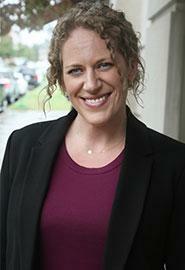 In her free time, Jen enjoys riding horses, spending time with her stepchildren and family. She especially loves dogs- she has a bulldog, Chuck, and a blue heeler named Gyda. "This is the most amazing dental office I have ever been in. " "Absolute best!! Fun, friendly, caring, everything you would want in a dentist office. " "Dr Roach and all the staff are always so wonderful!" "Great people....very helpful and soothing!!!" "They are the best at what they do. Completely peaceful atmosphere..."
"I had a lot of work done, but the cost was affordable and the staff is excellent." "My family has received nothing but excellent care with Dr Roach and his fabulous staff!" 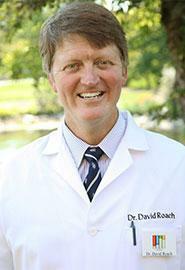 "Dr. Roach is a jewel; he is excellent at making you feel comfortable in his chair." "From the booking of the appointment to the follow up, the process is easy." "Besides the great care they continuously provide is the modern & high tech offices." The unrivaled team at Roach Family Dentistry has been voted one of the best dental practices in Nashville every year since 2012 by our patients through The Tennessean’s Toast Of Music City Readers’ Choice Awards. By his peers, Dr. Roach has also been awarded, since 2016, one of the area's TOP DENTISTS in the September issues of Nashville Lifestyles Magazine. Roach Family Dentistry opened in 2000 by Dr. David Roach, who has treated patients in the Nashville area for a few decades. Dr. Roach is joined by his highly trained team of dentists, registered dental hygienists, and dental assistants whose priority is your oral health and comfort. We recently expanded to a new and more spacious, state-of-the-art office on Bedford Ave., where we offer the safest and most advanced approaches, materials and technology, including digital X-rays. The team at Roach Family Dentistry is committed to ongoing professional education and are active members of the American Dental Association and the Greater Nashville Dental Study Club. Our patients continually give us top ratings because they know we are 100 percent committed to providing the best in dental treatment and prevention for everyone in the family.